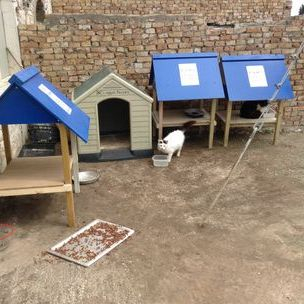 Over the years PAWS has built numerous feeding stations with the help of Jim Toots on Paxos and Rod Turner in the UK. 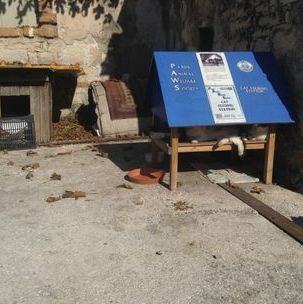 Bad storms in 2014 resulted in several feeding stations being badly damaged or washed away but Rod Turner once again built several new ones which were taken to Paxos in March 2015. At the end of 2017, Dimitri from 'Woodart' agreed to build new feeding stations to replace any that had become battered or damaged. We currently have 9 feeding stations around the island looked after by a group of volunteers. 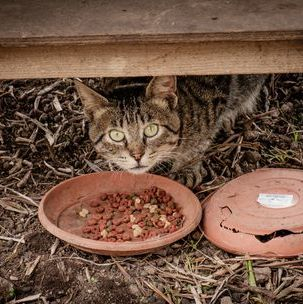 PAWS greatly appreciates the volunteer help and also the food that is donated by tourists during the summer months and is happy to continue its support to the winter feeding of cats.